Senior vice president and general manager of Acura Mike Accavitti, and vice president of Acura Development Mat Hargett take the stage to introduce the 2015 TLX at the 2014 New York International Auto Show. A few days before the official Acura TLX unveil at the New York International Auto Show, a TLX Forums member who recently attended a TLX training session shared his notes on the car. Keep in mind the information posted below has not been confirmed. • 3.5L V6 with specs of 290 horsepower and 267 lb-ft. 9-speed automatic transmission is paired with this engine. Acura says that regular shifts will occur at a rate 25% faster than the TL, and paddle shift inputs will be realized up to five times faster than the TL. Regarding fuel economy, both the FWD and AWD models will see an increase of 5 mpg highway over the TL. For city fuel economy ratings, the FWD is up 1 mpg and the AWD model is up 3 mpg over the TL. The SH-AWD system weighs 75% of the weight of the TL’s system, and because it’s smaller, Acura engineers were able to add an under storage space in the trunk (like the RLX). The TLX V6 is about 0.5 seconds faster than the TL in the 0-60mph race. 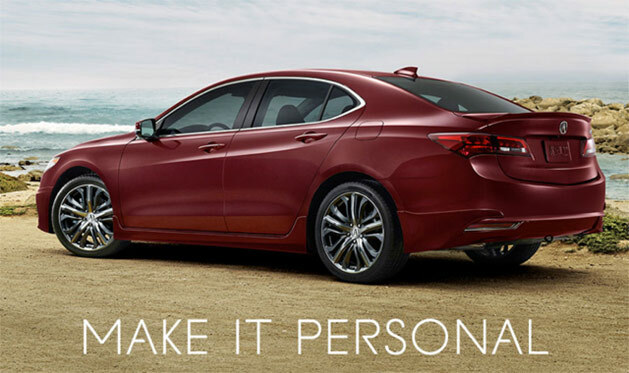 • Internally, Acura is targeting a sales goal of 45,000 TLX models per year. I am confident this model will make targets – it’s quite impressive in person. • The TLX has about the same wheelbase length as the TL, but the overhangs are 4 inches shorter. • There’s a new sport mode feature called Integrated Dynamic System (IDS) with an optional Sport Plus mode. It changes throttle response and steering feel. It also has an economy mode for when you feel like driving like a grandma. • Siri Eyes Free is standard. I’m really excited for this! • TLX FWD model is 150 lbs lighter than the TL FWD! 04/16/2014 – NEW YORK, N.Y. The TLX’s spacious five-passenger interior is designed and engineered to underscore the “Red Carpet Athlete” development theme of the new TLX, providing a high degree of refinement, luxury comfort and technological sophistication while supporting an exhilarating driving experience. High-end premium elements include a soft-touch, one-piece instrument panel upper cover, alloy and wood-grain accents, and available Milano leather seating surfaces and interior trim. Acura’s award-winning MDX luxury SUV goes on sale June 3, returning for the 2015 model year. The MDX is once again available in two-wheel and Super Handling All-wheel Drive (SH-AWD) drivetrain configurations and four luxuriously-appointed grades. The 2015 MDX starts with a manufacturer’s suggested retail price (MSRP) of $42,5651. The 2015 Acura MDX is powered by a 3.5-liter, 24-valve i-VTEC direct-injected V-6 engine that produces 290 horsepower2 and 267 lb-ft of torque3, while also featuring Variable Cylinder Management (VCM) for enhanced fuel efficiency. The powerful and efficient engine is paired with a standard 6-speed automatic transmission with Sequential Sport Shift. The MDX is available with front-wheel drive or Acura’s signature Super Handling All-Wheel Drive (SH-AWD) system. The two-wheel-drive MDX is anticipated to achieve an EPA rating of 20/28/23 mpg4 (city/highway/combined) and the MDX with SH-AWD with an expected rating of 18/27/21 mpg4 (city/highway/combined). American Honda Motor Co., Inc. today reported May 2014 Honda and Acura vehicle sales of 152,603 units—an overall increase of 9.0 percent (5.0 percent based on the Daily Selling Rate, or DSR*) compared to May 2013, which showed a similar increase vs. the previous year. The Honda Division posted an increase of 9.8 percent with May sales of 137,928 units. Acura division gained 2.2 percent on May sales of 14,675, with light trucks increasing 32.9 percent for the month on sales of 10,301 units. Year-to-date American Honda sales reached 610,413 units. Hot-selling Acura light trucks continued their record-setting pace, combining to achieve the best May sales in division history. The MDX also posted its best May ever, topping sales of over 5900 for the month and up 115.6 percent for the year. After posting 24 consecutive months of record sales, the RDX netted May sales of 4,299 and gaining 3.8 percent for the year. Monthly sales of both the TL and TSX models reflect very tight supply with the anticipation of the launch of the all-new 2015 Acura TLX later this year. *The daily selling rate (DSR) is calculated with 27 days for May 2014 and 26 days for May 2013. Year-to-date, the DSR is calculated with 128 days for 2014 and 127 days for 2013. All other percentages in release are unadjusted; see table for adjusted DSR figures. Going on sale June 18, 2014 the 2015 Acura ILX lineup provides new luxury buyers with numerous ways to join the Acura family with a manufacturer’s suggested retail price (MSRP1) starting at $27,050. The ILX is available in four grade levels offering different blends of performance and premium features plus Acura refinement and quality in a sleek, sporty and luxurious package. With multiple new features and upgrades applied last year to the 2014 model, the 2015 ILX continues to offer enhanced styling, comfort, and driving enjoyment along with excellent value on a luxury scale. Standard features include 17-inch alloy wheels, projector beam headlights, leather seating surfaces with heated front seats and 8-way power driver’s seat, a Keyless Access System with smart entry and push button start, a Multi-Angle Rearview Camera and Active Noise Cancellation (ANC). The 2.0-liter direct injected engine produces 150 horsepower3 and is paired with a Sequential SportShift five-speed automatic transmission. For a more dynamic driving experience, a 2.4-liter engine that pumps out 201 horsepower4 is mated to a close-ratio, six-speed manual transmission. The identically outfitted 2014 Acura ILX earned the Intellichoice 2014 “Best Overall Value of the Year” award in the Premium Compact Passenger Car category, with the lowest total ownership cost in its class. Consumer information is available at www.acura.com/ModelLanding.aspx?model=ILX. To join the Acura community on Facebook, visit www.facebook.com/Acura. Additional media information including detailed pricing features and high-resolution photography of the 2015 Acura ILX and ILX Hybrid are available at hondanews.com/channels/acura-automobiles-ilx. 1MSRP excluding tax, license, registration, vehicle options and destination charge of $895.00. Dealer prices may vary. 2 Based on 2015 EPA mileage ratings. Use for comparison purposes only. Your mileage will vary depending on driving conditions, how you drive and maintain your vehicle and other factors. 3 Based on anticipated 2015 EPA mileage ratings. Use for comparison purposes only. Your mileage will vary depending on driving conditions, how you drive and maintain your vehicle, battery-package/condition (hybrid only), and other factors. 4150 horsepower at 6,500 rpm, 140 lb-ft of torque at 4,300 rpm (both SAE net). Here is an official image from Acura’s mobile site of the 2015 Acura TLX with accessories. American Honda Motor Co., Inc. today reported June 2014 Honda and Acura vehicle sales of 129,023 units. The Honda division posted sales of 117,817 units in June while Acura sold 11,206 units in the same period. Year-to-date American Honda sales reached 739,436 units. Overall Acura sales continue to reflect the decreasing supply of TL and TSX models as the company prepares for launch of the 2015 TLX line of luxury performance sedans later this summer. With an unprecedented first half of the year, MDX and RDX continue to sell at a near record pace, pushing Acura truck sales up 6.1 percent for the month. Acura today marked the start of mass-production of the all-new 2015 Acura TLX at the Marysville Auto Plant with Acura’s new performance luxury sedan slated to land at dealerships nationwide in August. With the launch of the new TLX, more than 90 percent of Acura vehicles sold in America are now produced in America1. Designed, developed and engineered by R&D teams in Ohio and Los Angeles, and manufactured exclusively in Ohio, the all-new 2015 TLX delivers on its advertising tagline of “It’s that kind of thrill” combining incredible sports-sedan athleticism with premium luxury-sedan refinement. The new TLX is a technological powerhouse, featuring two advanced new powertrains and two next-generation Acura precision-handling technologies – Precision All-Wheel Steer (P-AWS) and Super Handling All-Wheel Drive (SH-AWD) – all delivered in a sophisticated and dynamic new exterior package. Located northwest of Columbus, Ohio, the Marysville Auto Plant implemented sophisticated new manufacturing technologies to assure superior build quality and luxury refinement. Innovations to the manufacturing process included a new roll hemming technology that allows for more sophisticated vehicle styling, and the application of new sound-deadening materials that contribute to the ultra-quiet cabin of the TLX. The TLX’s two powerful and efficient direct-injected engines – a 206-horsepower 2.4-liter DOHC inline 4-cylinder, and a 290-horsepower 3.5-liter SOHC V-6 – are both produced locally, at the company’s state-of-the-art engine plant in nearby Anna, Ohio. Acura offers a full line of technologically advanced performance-luxury vehicles through a network of approximately 270 U.S. Acura dealers. 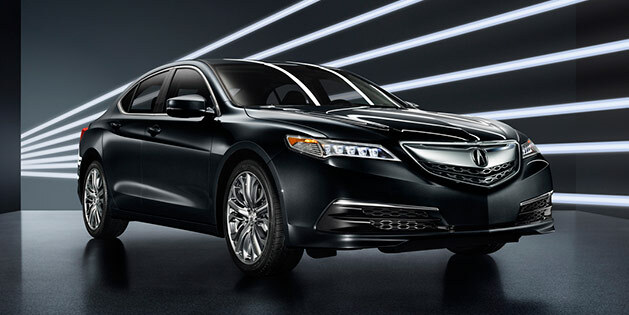 The Acura lineup features five distinctive models – the RLX luxury flagship sedan, the TLX performance luxury sedan, the ILX compact luxury sedan, the 5-passenger RDX luxury crossover SUV, and the 7-passenger Acura MDX, America’s all-time best-selling three-row luxury SUV. Acura was recently recognized by Edmunds.com for the third consecutive year as leading all luxury brands in retained value after five years of ownership. More than 90 percent of the Acura vehicles sold in America are produced at the company’s manufacturing facilities in America, using domestic and globally sourced parts. Based on the company’s longstanding commitment to “build products close to the customer,” Honda began auto production at its first U.S. auto plant more than 30 years ago, on November 1, 1982, in Marysville, Ohio. Using domestic and globally sourced parts, Honda now has the capacity to build 680,000 automobiles annually at its two Ohio auto plants. Honda also has established substantial R&D operations in Ohio, along with other operations that support product development, manufacturing and sales of Honda and Acura products in North America. The company’s total investment in its extensive operations in Ohio totals $9 billion. Honda employs 14,200 Ohioans and tens of thousands more through its suppliers and other business partners. 1 More than 90 percent of the Acura vehicles sold in America are produced at the company’s manufacturing facilities in America, using domestic and globally sourced parts. American Honda Motor Co., Inc. today reported September 2014 Honda and Acura vehicle sales of 118,223 units, an increase of 12.0 percent versus September of last year. The Honda division had its best September since 2007 with sales of 104,391 vehicles, while Acura posted sales of 13,832 units in the same period. Acura trucks posted its best-ever September, rising 6.8 percent vs. 2013. Year-to-date total American Honda sales reached 1,160,605 vehicles. Less than two months on the market and without full supply of the three-model lineup at dealerships, the all-new 2015 Acura TLX luxury performance sedan sparked an 18.8 percent sales surge for the luxury brand, boosting division sales to 13,832 for September over the same month in 2013. TLX sales were second only to the Acura MDX within the entire division, followed by another record performance by the RDX, with the luxury SUVs pushing Acura truck sales to a new September record. The hot-selling new TLX posted sales of 3,884 in September to become Acura’s best-selling sedan and second best-selling vehicle, already approaching segment leaders in only its first full month on the market. ILX sales were also up in September, adding 7.4 percent with sales of 1,464 units. Acura truck sales set a new September record, rising 6.8 percent on sales of 8,097 vehicles. Acura’s RDX rose 6.9 percent to post its best-ever September for the brand on sales of 3,230 units. MDX sales increased 7.2 percent with 4,864 units sold in September, continuing to solidify its place as the best-selling three-row luxury SUV in America. Acura is preparing to unveil a substantially new 2016 ILX at the L.A. Auto Show next month as the brand aims to raise the stakes again in the entry-premium sedan segment. Already bringing in more buyers under the age of 35 to the segment than any other entry-premium model, the new 2016 ILX stands to solidify and broaden its appeal with a comprehensive update that includes a potent new powertrain, more forceful, sporty exterior styling, and substantially upgraded interior design. Much like its hot new stable mate—the brand new TLX—the 2016 ILX will bring a sharper performance focus while delivering a greater set of high-value comfort, convenience and safety features that consumers desire in the increasingly competitive entry-luxury field. 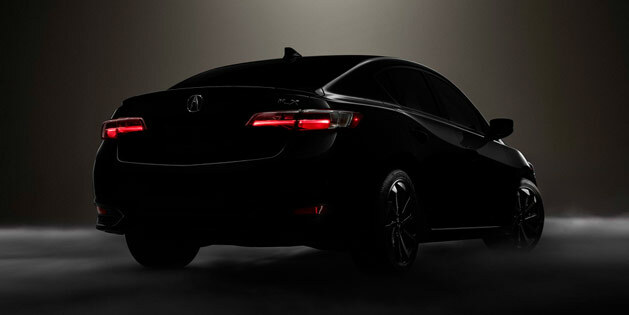 Catch the unveiling of the ILX on Thursday, November 20, 2014 at 9:30 a.m. in the Acura booth at the Los Angeles Auto Show. With the 3.5L SH-AWD model enjoying its first full month on the market, the new Acura TLX gained more than 25 percent versus last month’s strong performance, reaching sales of nearly 5,000 units in October after less than three months on the market. TLX helped push Acura brand sales up 7.9 percent for the month. TLX sales reached 4,890 units in October, jumping 25.9 percent over last month for its best month since joining the Acura lineup, and came within just a few hundred units of ranking as Acura’s best-selling model. With 5,324 units sold in October, Acura’s current best seller—MDX—jumped 9.5 percent month-over-month despite being limited by tight supplies. The Acura Division reported total vehicle sales of 167,843 units in 2014, up 1.5 percent — the brand’s best year since 2007 – and third consecutive year of increased sales. Acura finished the year strongly with 17,809 new cars and truck sold in December for a total gain of 13.1 percent month-over-month. MDX set its second consecutive January sales record on sales of 4,381 vehicles, up 3.3 percent. It was the brand’s best-selling vehicle in January. 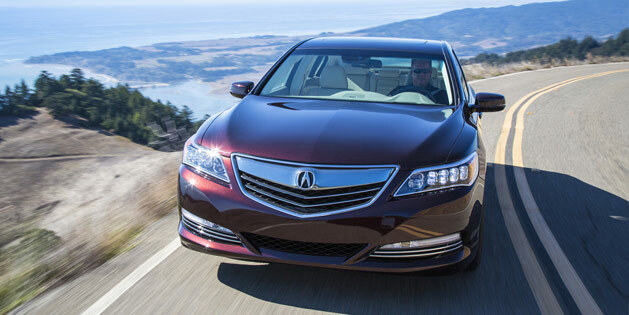 Jul 21, 2015 – TORRANCE, Calif.
Acura continues to advance its leadership in safety performance among luxury brands with the 2016 ILX becoming the latest Acura sedan to earn a 5-Star Overall Vehicle Score from the National Highway Traffic Safety Administration’s (NHTSA) New Car Assessment Program (NCAP). The 2016 Acura ILX joins the flagship RLX luxury sedani and the TLX performance-luxury sedan in earning an NCAP 5-star Overall Vehicle Score from the NHTSA. One aspect of Acura’s safety performance leadership is the availability of the AcuraWatch™ suite of safety and driver-assistive technologies on all models. AcuraWatch™ includes features like Collision Mitigation Braking System™ (including Forward Collision Warning), Road Departure Mitigation, a Multi-View Rear Camera with Dynamic Guidelines, as well as Adaptive Cruise Control and Lane Keeping Assist System, with sensor-fusion technology that enables new capabilities, including pedestrian sensing. AcuraWatch™ can help improve the driver’s situational awareness and, in certain circumstances, can intervene to help avoid a collision or mitigate its severity. The 2016 Acura ILX offers autonomous emergency braking technology at the most affordable price point within the luxury segment. The Next-Generation Advanced Compatibility Engineering™ (ACE™) body structure is another element of the Acura safety leadership strategy. Incorporated in the 2016 ILX, the next-generation ACE™ design utilizes a network of connected structural elements to help distribute crash energy more evenly throughout the front of the vehicle, enhancing occupant protection and crash compatibility in front collisions. Unlike most conventional designs that direct frontal crash energy only to the lower load-bearing structures in the front end, Next-Generation ACE™ actively channels frontal crash energy to both upper and lower structural elements. The front wheelhouse upper member, front pillar, side sill and front floor frame are the main areas that were reinforced to improve performance in small-offset frontal collisions on the 2016 ILX. Reimagined for the 2016 model year with significant styling, performance and feature updates, the ILX is a part of the industry’s fastest-growing sedan lineup, with Acura sedans enjoying a 28 percent year-over-year sales increase through June 2015. The ILX caught the attention of Edmunds.com as it recently earned the 2015 Best Retained Value® model-level award and won entry luxury comparison tests from both AutoGuide and The Car Connection.